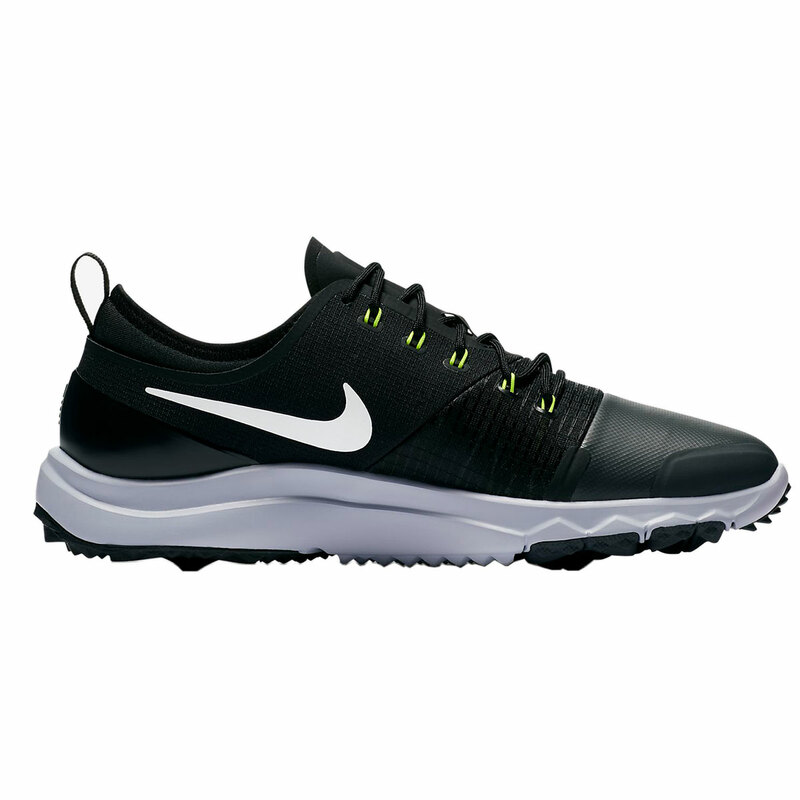 Combining flexible grip and waterproof protection, the Nike FI impact golf shoes are an excellent choice for all weathers. The patterned outsole flex grooves help to give flexible comfort and grip while the lightweight upper is breathable and includes a waterproof membrane to keep your feet dry. Flywire technology offers a locked fit by integrating with the laces for a supportive fit that wont let you down. The TPU heel counter gives a stable base to produce a swing from and the thin articulated tongue gives comfort over the ankle and the three quarter length gusset offers a sock-like fit to help keep any bits of rubble out. The Waterproof upper in the shoe consists of a membrane which allows the shoe to remain breathable while offering outstanding waterproof protection, the Nike golf shoes have been engineered to the exact specifications of championship athletes. 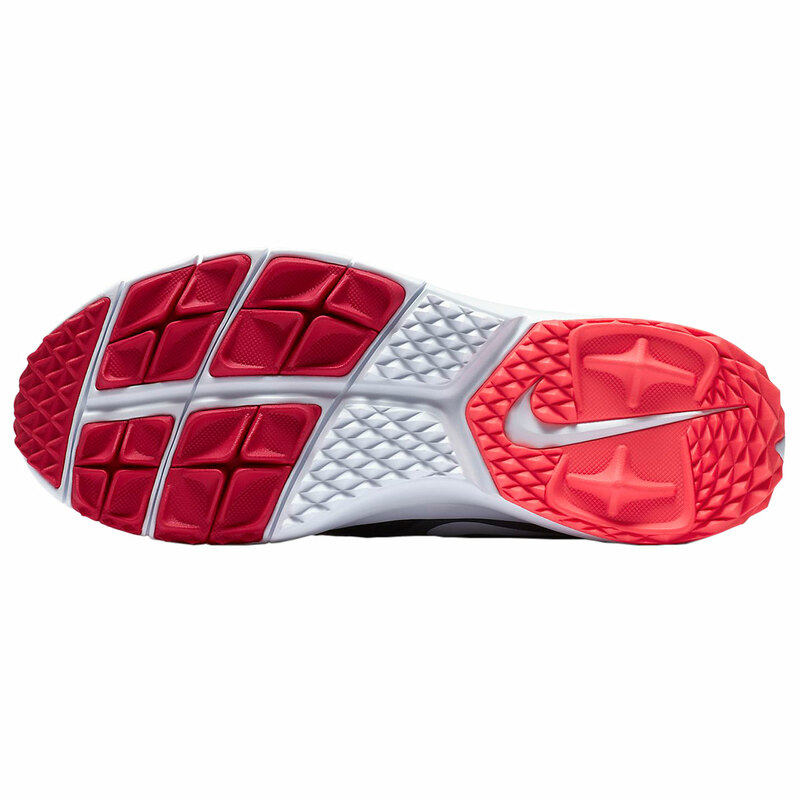 Having been inspired by Nike Free technology, the incredibly lightweight phylon midsole gives comfort, cushioning and stability through your swing. The Flex Grooves on the outsole greatly improve the flexibility of the shoe and provide a more natural weight transition through your foot when on your swing. 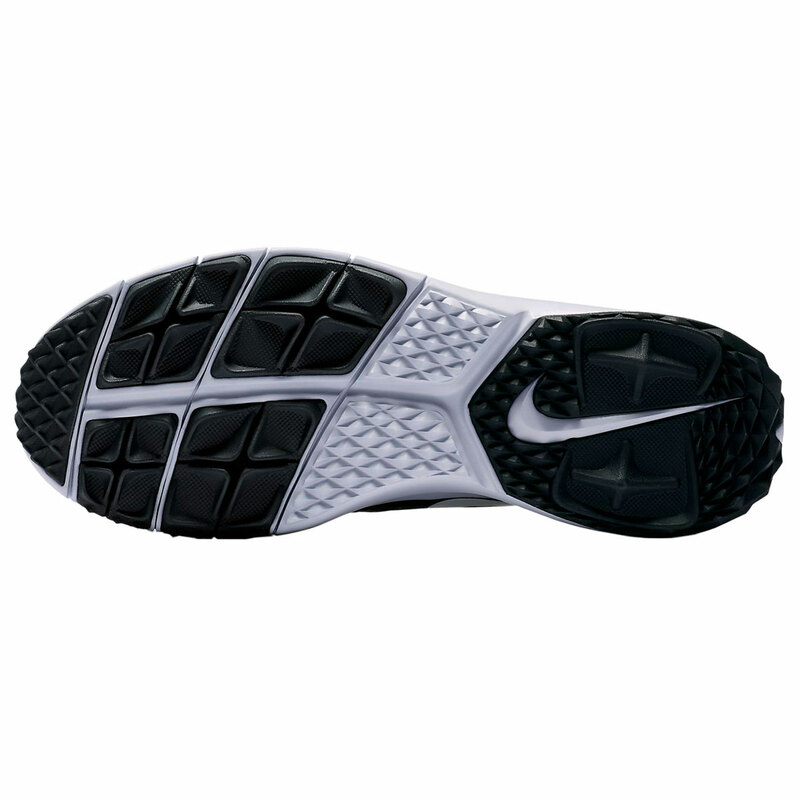 The rubber outsole offers spikeless traction through the integrated pattern for grip on a variety of surfaces. The raised nodes give the grip needed to perform at your highest level!